Mixed DOWSIL 983 Structural Glazing Sealant is a two-part silicone formulation. As supplied, the base is a smooth, white paste and the curing agent is a dark grey paste. Once catalysed, the material cures to a high-modulus, flexible silicone rubber that is suitable for use in structural and weather-seal applications. DOWSIL 983 Structural Glazing Sealant features excellent adhesion to most common construction materials, a physical property profile that is more than sufficient for structural adhesive and weather-seal applications, a non- corrosive by-product, and excellent weather-ability, durability and recovery after repeated extension and compression up to 25%. DOWSIL 983 Structural Glazing Sealant is compatible with reflective glass, laminated glass and most insulating glass. It can be used in deep narrow joints to obtain a full cure. Dow Corning 1200 OS Primer is used to improve adhesion and accelerate adhesion build-up of silicone sealants to various substrates. 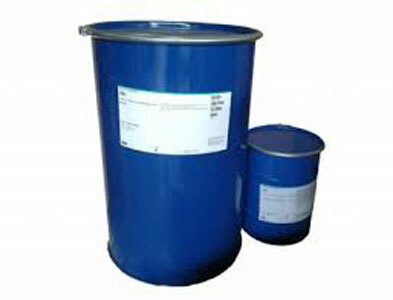 This moisture curing primer is supplied as a dilute solution of reactive materials in low viscosity siloxane. Dow Corning® Spacer Tape for Structural Glazing is specially formulated for many outdoor mounting and joining the application, including spacer tape for structural glazing. It has especially excellent bonding strength and high holding power on LSE (low surface energy) materials such as PVDF coated panel without primer in most cases.